1. 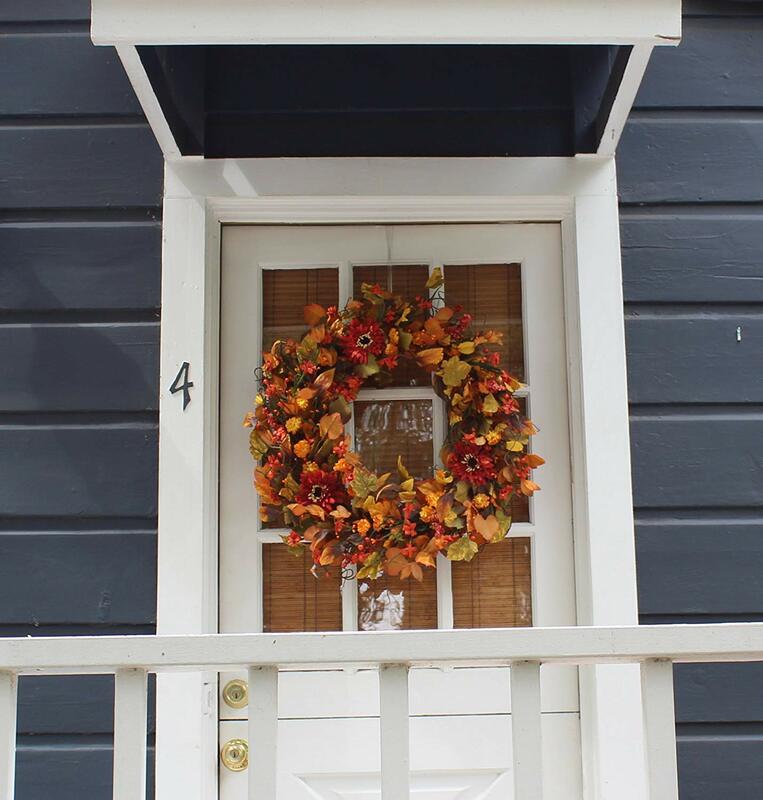 Start from the outside: A ‘Welcome’ porch or a front door, always sets up the first impression. 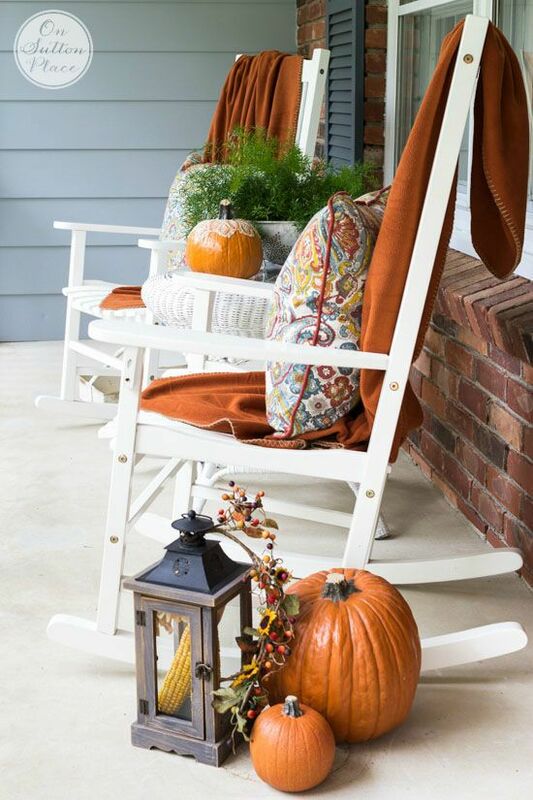 A rocking chair, a few baskets with apples, a couple lanterns with seasons candles, pumpkins, a nice co-ordinated color scheme, are enough to say ‘Hello Fall’. I love this setting from onsuttonplace as it looks fresh yet seasonal. 3. Spice it up! : Fall is the season to use our spices; put a tad of your favorite spice in your tea or other drinks, or bake a delicious pie and let the aroma take you away! For a natural air freshener put a couple of cinnamon sticks or clover sticks in hot water and let it shimmer. 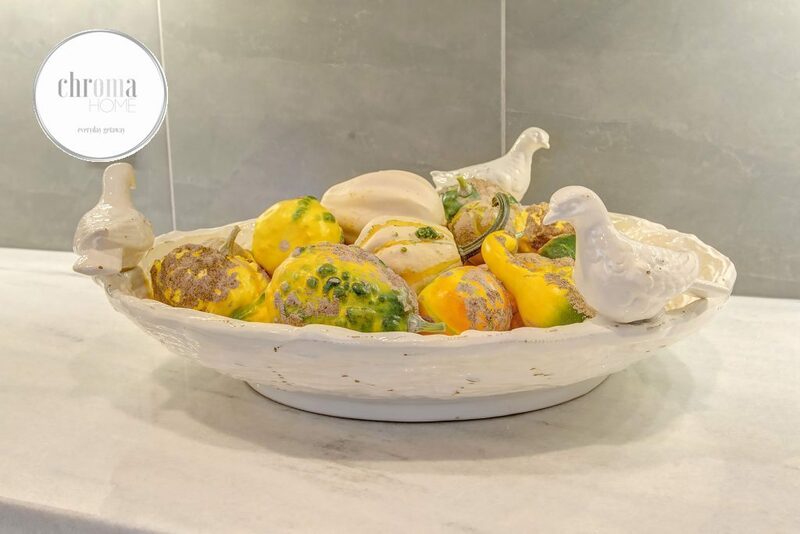 You can also fill some mason jars with your favorite spices and put them on a kitchen shelf– they make a nice colorful visual and add lots of texture. 4. Cook a seasonal meal. 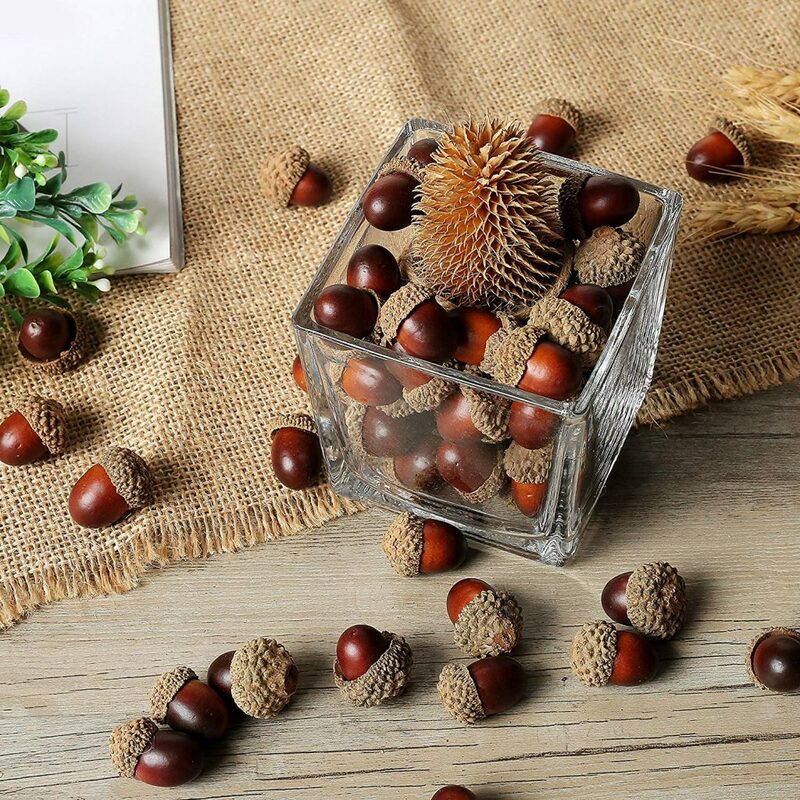 Autumn is a season that promotes gathering at home with family and friends. Cooking a nice meal with seasonal ingredients is always exciting. 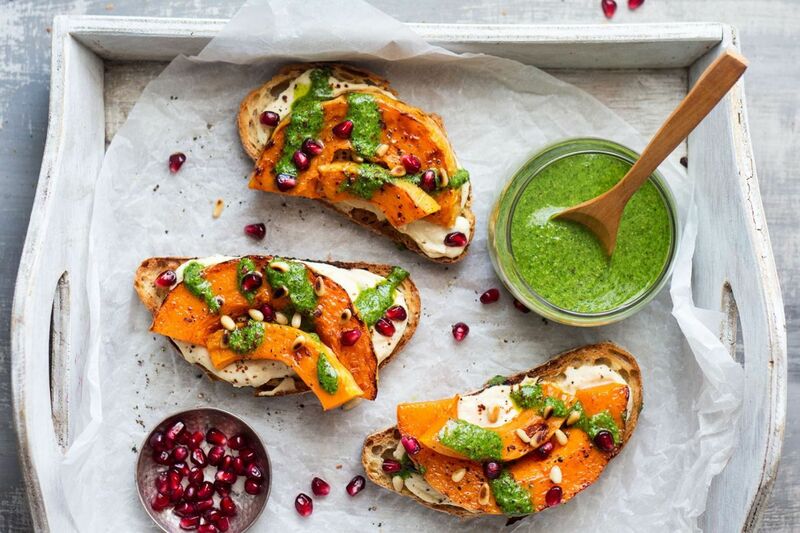 My favorite dish is the the Pesto Pumpkin crostini with fresh pomegranate seeds. I got the recipe from lazycatkitchen. Yum! 5. Bring some Fall accessories and art. 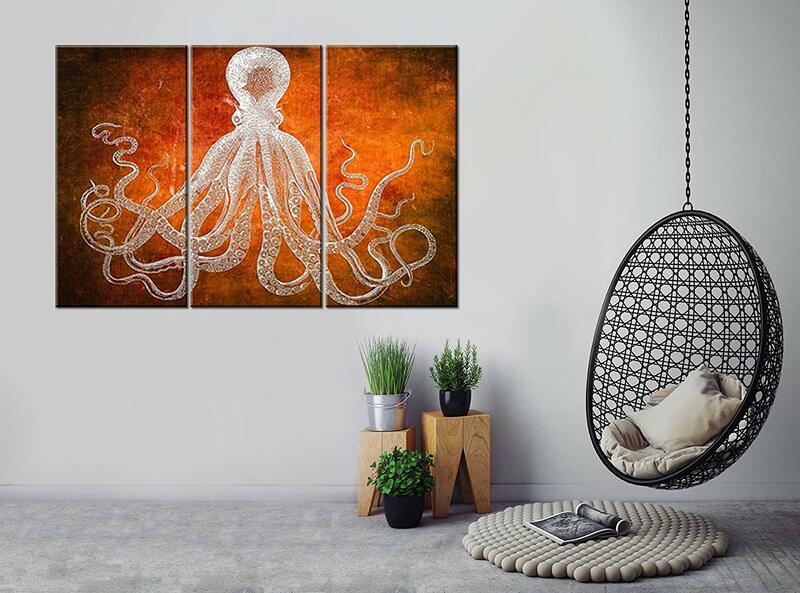 Small accessories and art are the easiest ‘go to’ decor to revamp a room and give it a new character. 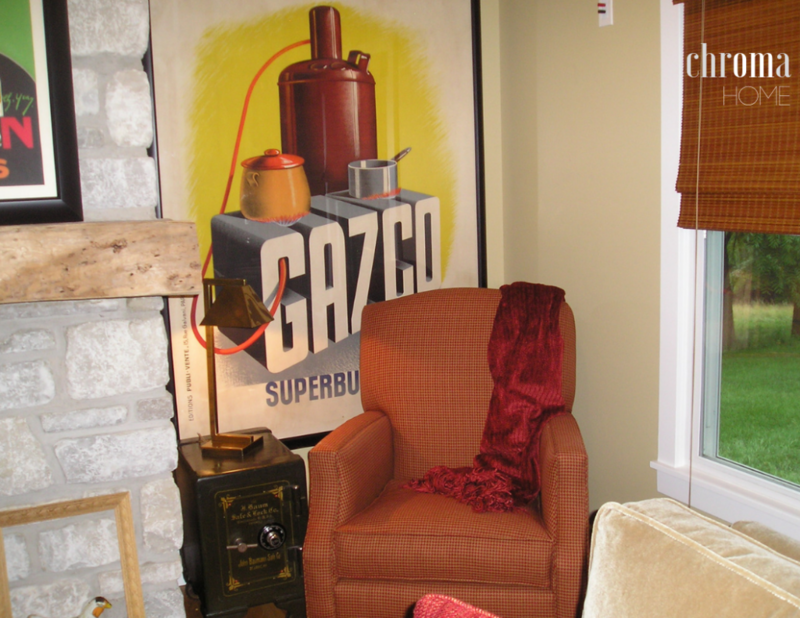 Wall art is my favorite way to amplify interest and turn a monotone space into a vibrant and happy spot. 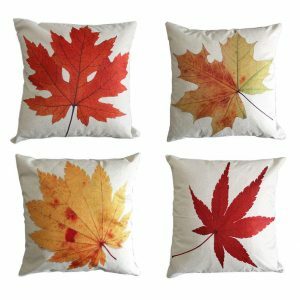 7.’Cozy up’ with throw pillows and throw blankets. 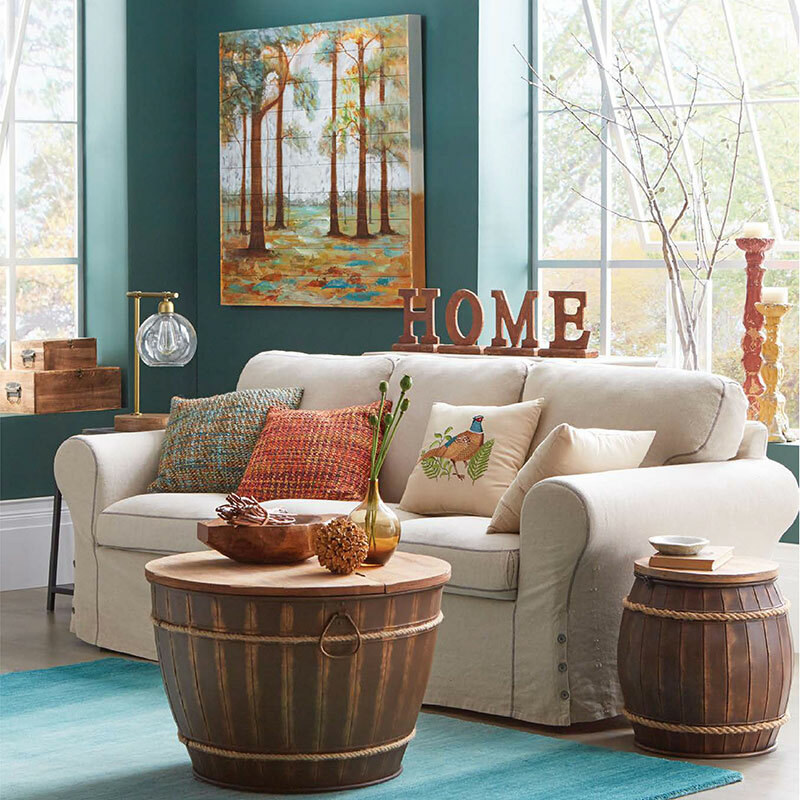 Pillows and throws always do wonders when it comes to accessorizing a room. You can always create a new flavor by alternating yours each season. 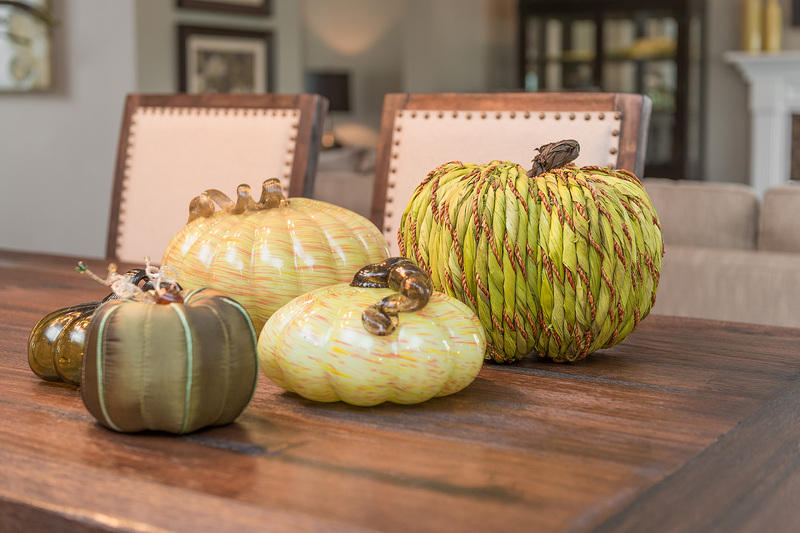 There is no need to over-decorate but a few little touch will warm you up. . . It is so easy to fall in love with Fall!